Super Eagles midfielder, Mikel Obi says the Nigeria’s U-23 team had a turbulent period preparing for the 2016 Rio Olympic Games. Despite experience some ups and downs prior to one of the world’s greatest sports showpiece, the team still went ahead to claim a bronze medal at the games after beating Honduras 3-2 in the third place match. “It wasn’t a great experience in the build-up in Atlanta. There was no food for the guys, no bus to go to training, no pitch to train on,” Mikel told Chelseafc.com on Friday in an interview. 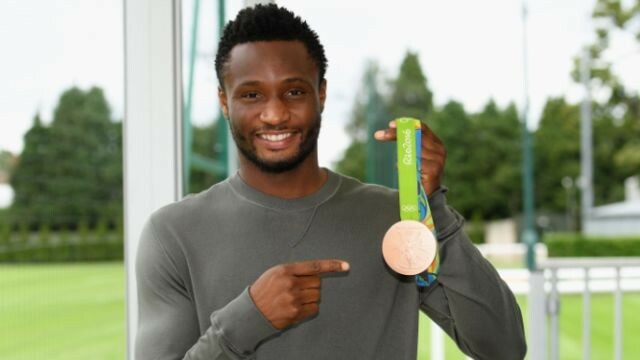 Meanwhile, the Chelsea midfielder also revealed his delight to have represented Nigeria at the Rio Olympic Games. He claimed it was an experience that would forever relish till eternity. “Yes, it was amazing. Leading the team not just in football but athletics, basketball, everything, was amazing for me. What an honour to be able to do that, and to represent my country is something I’m always proud of. The boys were absolutely amazing and I hope to see them all playing at the top level soon,” he said. “I hadn’t played in an Olympics before, I missed out in 2008 in Beijing and in 2012 we didn’t qualify for London, so I spoke to the club and got their permission to go. It was an amazing experience to play with the Under-23s and lead the team, being the captain of the nation leading it to Rio. I’m very, very proud.